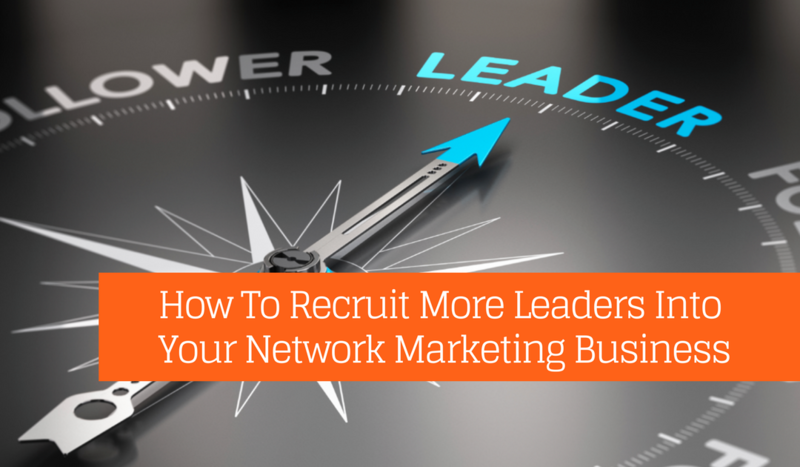 Would you like to recruit more leaders into your network marketing business? I listened to a podcast that Ray Higdon did recently and it really spoke to me about why I may not have as many leaders in my business and the things that I have actually done wrong in the past few years. And you may be doing the same thing. On this podcast, Ray mentioned that he watched a video by Eric Worre where he was talking about what we usually do wrong in network marketing prospecting that can turn ambitious successful people off. I know that I’ve done this myself and I’m curious to know if you’ve done this too. How many times have you been in your company’s presentation and heard something like this? All of that may sound great but if you want to recruit more leaders, like someone who has built a traditional business or a franchise, that may raise their barriers of resistance. Why? Because everything they’ve ever done in their life to be successful, they had to work for. When someone tells them that they don’t have to work that much, that all they have to do is find a couple of people and they’re going to get rich, they’re going to throw up some red flags, and they won’t necessarily believe you. The reason they probably don’t believe you is it’s really not true, is it? 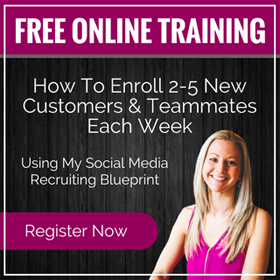 When I got started in my network marketing business, I sought out a mentor to help me recruit more leaders because I was pretty bad at recruiting. I came from a sales background and people would see me coming. They’d say, “Don’t talk to me. Don’t try to sell me anything.” So to recruit more leaders, I had to learn how to recruit in network marketing, not sell. I could close ice to an Eskimo. I could sell my way out of a paper bag. I could walk in a room and own it in sales. I quickly realized those were not the skills I needed to be successful in network marketing though. My first mentor named Dani Johnson, who was referred to me by my sponsor in my business . I started investing in myself to learn the skills of recruiting and prospecting. 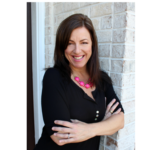 She was the first place that I heard some of these words that Ray Higdon is talking about in this podcast, about how to recruit more leaders by telling them the truth. Tell the truth and let them know that this is a real business that they’re going to have to work. They’re going to have to do something and learn some new skills. They’re going to have to invest in themselves and invest in their business. That’s actually not a good thing to say at all because you’re teaching them a lottery mentality and you’re building an adult daycare. That’s crazy. You’re giving them expectations that they really don’t have to go to work. I’ve done that before and it’s exhausting. It takes all the energy out of you. Instead, tell them they may have to work their face off and that there are no guarantees. What are you teaching that person? If they are a successful person, then they’re going to look at you funny like, “I don’t even have to do my own work?” It doesn’t make any sense to them. Furthermore, could you really do this if you had a team of 1,000 people? Of course not, so start thinking as if you did and you’ll become more duplicable and scalable with your business. Someone who has had success in their life knows they’re going to have to go to work. I have had some successful people actually say “Am I really going to have to go to some meetings or am I going to have to talk to some people?” I used to shy away from this because of my sales background. I just wanted to close the deal. I wanted to get them in the business. I would give them all kinds of nuances and excuses and try to make it sound more rosy than it is and I realized I was turning off leaders. I was turning off the very people that I wanted to have in my business. The better posture is to tell them the truth, that yes, they WILL need to plug in to build their business. If they don’t want to do this, they either haven’t seen enough value yet or they’re not ready to change their situation. Let’s do our whole profession a favor. Let’s raise the bar, let’s raise the reputation, and help people realize, they’re going to have to do some work, yeah, they may have to work their face off for a little bit, they’re going to have to put some time in, they’re going to have to learn some new skills, they’re going to have to do this thing and you’re not going to do it all for them. You are opening a door, you’re showing them the way, you’re showing them the path, and they can plug in and they can go to work. If they go to work, they’re going to have results. If they don’t go to work, they won’t have any results. There are no guarantees. Most of them are going to answer at 40, 50 hours a week, right? Contrary to popular (outside of network marketing) belief, it’s not a free lunch or a free ride. They’re going to have to do something and they need to know that up front. You’ve got to be willing to walk away. You’ve got to be willing to not be addicted to the outcome. What if they say, “Well, I’m just not willing to do that”? Let them know that’s okay. No problem. See you later. Have a nice life. You do not need them in your business. People want to follow someone who’s going somewhere. Let them know where you’re going, what your plans are, to see if they want to be a part of those plans. Another thing that can happen if you don’t tell the truth is you may take a really great, ambitious person and turn them into someone that would lack drive and success in this business because you’re giving them the wrong impression. You could be allowing them to “play small”. You could take an otherwise successful person and if you hype them in, you could turn them into a lazy person by giving them the wrong expectations. That’s the trade off for ambitious, successful leaders. They may have created some success in their traditional business, franchise or C-level position, but they could be working 100 hours a week for the rest of their life to keep that level of success or income. Here in network marketing, they could work hard for a little bit of time, build something that’s going to be there for them for the long haul. They could build residual income, which I didn’t even know existed before this industry. Now, after having it, I don’t know how I could live without it. It’s amazing to have that every day, every month, coming in whether you get out of bed or not. Is that worth working for? I believe it absolutely is. So do the leaders that you’re talking to a favor. Be honest with them. Tell them the truth about what they can expect. Don’t hype them in. Don’t fluff it. Don’t have rosy pictures of what things are going to be like without any work. It’s going to take a lot of work. They’re going to have to learn some things. They’re going to have to lock arms and do this deal with you if they want success. Make the decision today that you’re going to be honest with your prospects, you’re going to let them know what it takes. If people turn away, if they say it’s not for them, you know what? You just saved them and yourself, time and energy and frustration. They can now go on and find something that they may be happy doing. Realize that you have something amazing to offer these leaders. They really need YOU and your company, not the other way around. If they don’t see it, you can go recruit more leaders who are going to step up because you’re telling them the truth about what’s required to really make this work. This has been on my heart for a few days and I wanted to share how to recruit more leaders because it meant a lot to me. It really hit home for me and I hope it did for you. Did this bring you some value? Have you struggled to recruit more leaders?